Fiji's first Unesco world heritage site. untouched by mass tourism and commerce. It's still the way Fiji used to be. 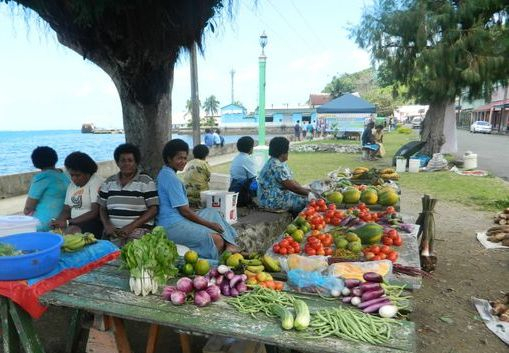 But don't be mistaken.........Levuka has all the facilities modern living needs......it's the principal town in the Lomaiviti province and acts as marketplace and service centre for all inhabitants of Ovalau and outer Islands. Post service, banks and ATMs, internet cafes, supermarkets, police station, restaurants, clubs, hotels and hostels, churches, schools, local goverment and a modern hospital. 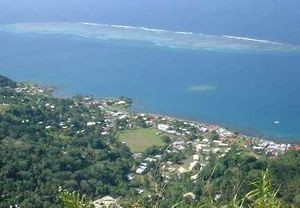 If you need special info about the administration of Levuka go to www.levukatowncouncil.com. Ovalau is a lush vulcanic Island approx. 180 square km in size; its population counts about 8000 people, most of them live in villages around the coast and inside the crater of Lovoni. 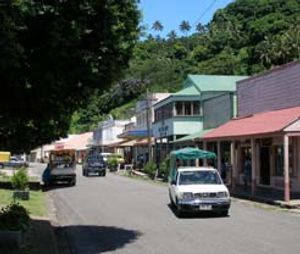 Levuka is the only town, with 1/4 of Ovalau's population. 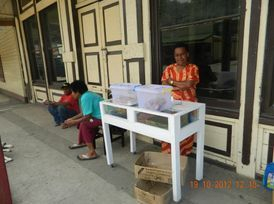 Farming and fishing are the main source of income..approx. 700 people find jobs in Levuka's tuna cannery. stunning views and beautiful landscapes. A gravel road goes all around and into the crater of Lovoni, passing over 20 villages and beautiful bays with amazing reefs. 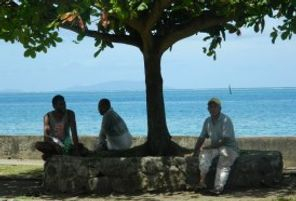 And where ever you are, you will meet the smiling and waving people of Ovalau, who always call out to you and have time for a chat.